Huawei has finally launched its latest MET series Huawei Mate 20 Pro in India in India. This new smartphone is priced at Rs 69,990 and for exclusively for sale, it will be available to all customers from December 3 and December 4 for Prime Members on Amazon India site. 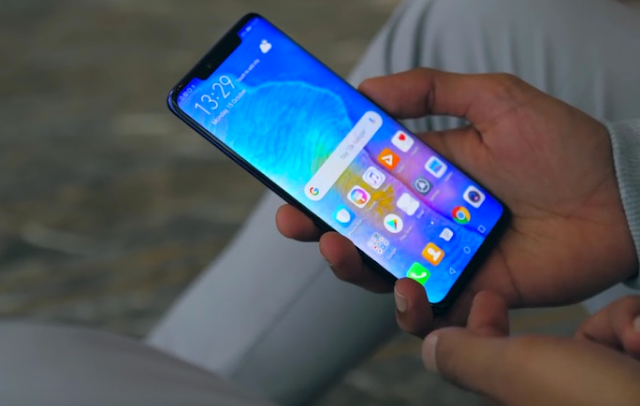 The company has also introduced several launch offers along with the purchase of this smartphone, under which the SanHiizer PCX550 headphones priced at Rs 29,990 can be purchased only for 2,000 rupees. With these headphones, the price of Huawei Mate 20 Pro goes up to Rs 71,990. This smartphone is with Emerald Green and Twalt Color Options. First of all, it is important to mention that the Huawei Mate 20 Pro smartphone is the world's first smartphone to run on the 7nm Highcilicon Kirin 980 mobile AI chipset. The most important feature of the Huawei Mate 20 Pro smartphone is its LEICA Triple Rear (Artificial Intelligence) AI Camera Setup. Behind this smartphone there are 3 cameras with LED flash. Its primary sensor is 40MP, which is with f / 1.8 aperture. The secondary sensor is a 20MP ultra-wide angle lens with f / 2.2 aperture and the third sensor is a 8MP telephoto lens with f / 2.4 aperture. 24MP front camera for selfie and video calling is given with 3D depth sensing feature. Huawei Mate 20 Pro has a 6.39-inch quad HD Plus OLED display with screen resolution of 3120 x 1440 pixels and its uncompressive ratio is 19.5: 9. Along with that it has the latest 2.6GHz Kirin 980 AI processor and Mali -G76 MP10 GPU. This flagship device has 6GB of RAM and internal storage is 128GB, which can be increased to 256GB with the help of MicroSD card. Here, this is the first smartphone that supports the Nano MicroSD card. Apart from this, this new smartphone features a facial-like feature such as in-display fingerprint sensor and Apple iPhone X. This smartphone is based on the Android 9.0 pie operating system. It has a 4200mAh battery with fast charging, wireless charging and reverse wireless charging support. 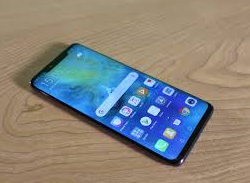 For connectivity, the Huawei Mate 20 Pro includes WiFi 802.11 a / b / g / n / ac (wave2), Bluetooth 5.0, NFC, Gravity sensor, Ambient Light sensor, Proximity sensor, Compass etc. This device receives IP68 certificate to protect against water and dust. 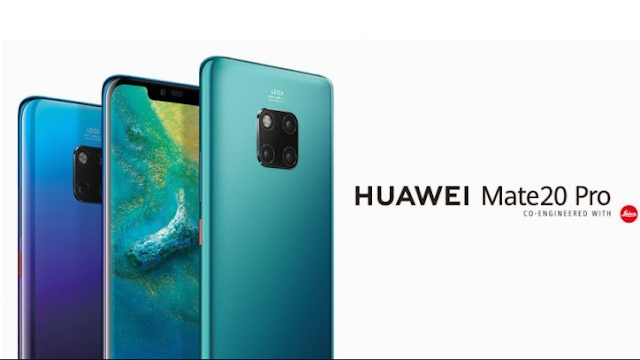 The total measurement of Huawei Mate 20 Pro is 157.8 x 72.3 x 8.6 mm and weighing approximately 189 grams. We hope this article helped you. You may also want to see – Nokia X7 Price Specification and Features – Best Camera Phone If you liked this article, then please share on the social networking site: Twitter, Facebook, YouTube, and Instagram. Technical Yukesh is a Technology blog where you will get Latest Tech News, Reviews on Mobile Phones, Laptops, Tablets, Cameras and many more. How To Download Instagram Profile Pic In Full Size On Android / iPhone?